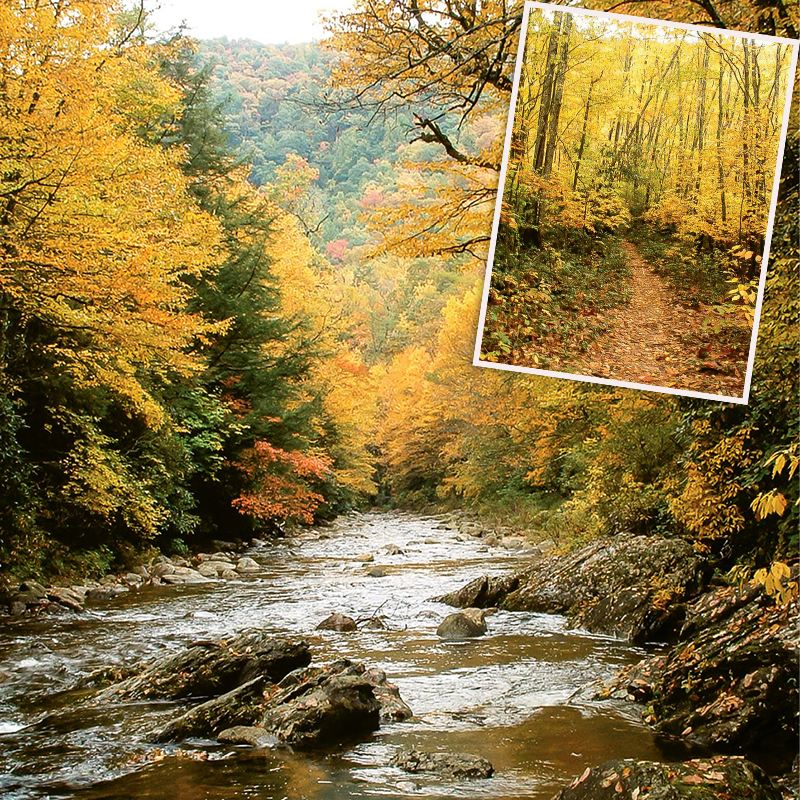 This perfect late-fall and early winter hike is along the Big East Fork of the Pigeon River in the heart of Pisgah National Forest, not far from Canton. The route roams upstream along the banks of the rushing water. Crowded with boulders, the river narrows further up, growing more rugged and turbulent. The payoffs along the way are charming river scenes with clear pools, rapids, and a rich forest of poplars, oak, ash, maple, beech, and abundant rhododendron. The footpath, along a former railroad grade, is a popular gateway to the Shining Rock Wilderness. Designated in 1964, the 18,479-acre backcountry was one of the original tracts protected by the Wilderness Act. And while Big East Fork Trail attracts plenty of visitors in the warmer seasons, winter is a good time to take a more secluded outing. Begin the hike from US 276 in Haywood County. The moderately steep trail climbs toward the high ridge of Shining Rock ledge deep in the wilderness. For a modest daylong route, continue upstream for 3.4 miles to the trail’s terminus, where the Greasy Cove Prong meets the East Fork. From here, hikers can continue along two other trails deeper into the wilderness—the Greasy Cove Trail to Ivestor Gap and the Bridges Camp Gap Trail—or backtrack to the highway. Navigate: Take the Blue Ridge Parkway to milepost 412, then head north on US 276. Go approximately three miles on a windy road to a small, marked parking lot on the left.